Genetic scientists in Ulyanovsk have developed a new generation of tests that can reveal not only the baby’s gender and Rh factor from a few drops of maternal blood in the 10th week of pregnancy, but also possible anomalies in the foetus. These tests have already been introduced in 20 regions in Russia. 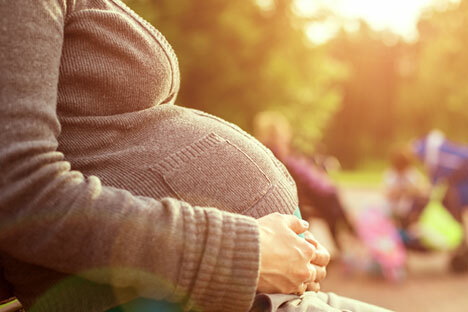 All it takes is 7 to10 ml of a pregnant woman’s venous blood to figure out if she is expecting a boy or a girl, whether Rh incompatibility exists, or whether there are genetic anomalies, such as Down’s syndrome, in the foetus. Genetic specialists at “TestGen”, a subsidiary of the nano-centre ULNANOTECH (Ulyanovsk Technology Transfer Centre) have developed a new non-invasive method for genetic diagnosis. The test kits provide results within two to three hours. The new tests have already been introduced in prenatal centres and private laboratories in 20 regions of Russia, from Kaliningrad to Kamchatka, and also in Ukraine, Kyrgyzstan and Azerbaijan. In Kazakhstan, these tests have been included in the state health care programmes. The Ulyanovsk centre now plans to enter the global market. The scientific developers told RBTH that the tests have aroused interest in the UAE, Singapore and Iraq. "Our research was conducted in 11 laboratories in Russia, Ukraine and Kazakhstan. More than 2,000 women were tested,” Andrey Toropovsky, director of the test-developer company, said. “The test has shown 99% accuracy. Until now, to get information about the gender, Rh factor and the possibility of abnormalities in the baby, screening tests had to be carried out during 11-13 weeks of pregnancy. Earlier, to identify the Rh factor, it was necessary to take foetal blood samples through a puncture. Such procedures increase the risk of miscarriage,” Toropovsky said. The price of the Russian test varies, depending on the reagents, and starts at $36. According to the developers, the accuracy of similar tests existing in the world market is 95%, and the cost between $ 270 and $360. Scientists have known since 1997 that a pregnant woman’s blood contains the baby's DNA. From the fifth week of pregnancy, its share makes up three percent of the mother's DNA. Geneticists in Ulyanovsk used a method that allowed them to increase the sensitivity of the test systems to detect single molecules of foetal DNA in the prospective mother’s blood. The kits use reagents that comprise short synthetic DNA segments, or nano-components. "The absence of the Y-chromosome is what makes a woman. If the Y-chromosome is found in the blood, the expectant mother will have a boy,” Toropovsky said. It is vital to detect the Rh factor of the foetus. Around 15% of pregnant women are Rh negative, so they may develop Rh incompatibility; one of the most common causes of haemolytic disease; or even death of the foetus and newborn. "Without such a test, all Rh-negative women have to take prophylactic measures, which cost $181. In half of the cases it is useless, because the foetus is also Rh negative, "said Toropovsky. In most regions of Russia, mothers-to-be receive public assistance for prevention of Rh-incompatibility. In 2014, Russia had 1,947,000 births, of which 15% were Rh-negative. According to developers of the test, it could reduce the public health budget expenses by $ 29 million. Is there concern that these tests will be used by parents to get rid of a child of unwanted gender? For example, the emergence of ultra-sonography in China has led to significant prevalence of young men over women. In India, this practice has now been banned after it led to significant gender imbalance in many states. "The situation in China is impossible in Russia: we have different laws and mentality. In modern Russia, we have lots of accidental pregnancies, abandoned babies, a high divorce rate. The more people will know in advance, the more responsible they will be in decision-making,” said family psychologist Anton Kuznetsov.